Family road trips, casual listening and airplane rides will never be the same. 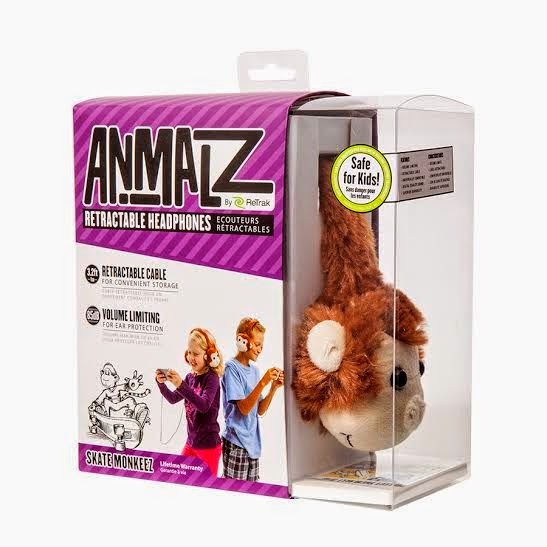 Say goodbye to long, boring hours and squabbles in the backseat and say hello to Animalz headphones for kids! 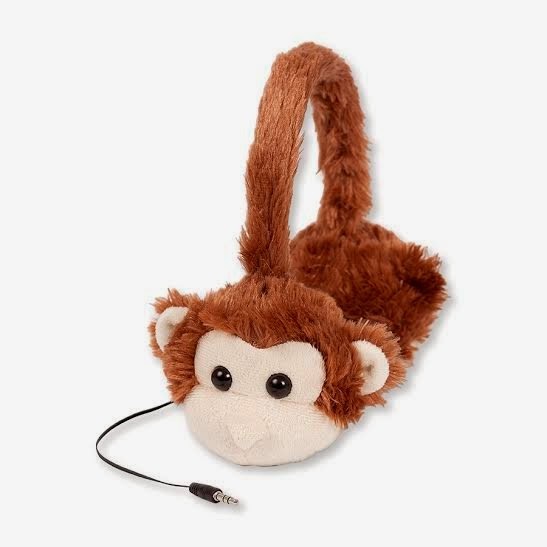 Whether at home or on-the-go, Animalz by ReTrak retractable headphones are designed for little ears and feature volume-limiting technology in six lovable soft fabric animal designs: Biker Bearz, DJ Panda, Jam Bunneez, Scuba Shark, Skate Monkeez and Surf Dawgz*. Kids can now enjoy listening to their own music, playing games or watching movies all with their favorite Animalz! Volume-Limiting Technology - According to the Journal of Pediatrics, more than 10 percent of children ages 9 to 19 have noise-induced hearing loss. Prolonged exposure to sound louder than 85 decibels can damage a child’s ears, causing permanent hearing impairment. With Animalz’s volume-limiting technology parents don’t have to worry about overexposure for developing, sensitive ears. Animalz volume limiter sets 85 decibels as the maximum volume for optimal ear protection. Tangle-Free Storage - Animalz headphones offer crystal-clear sound quality and are equipped with a built-in 3.2-foot retractable cable. Designed with children in mind, kids can simply retract the cord once they’re done listening. Parents no longer have to waste time unraveling knotted wires. The convenient, tangle-free headphone storage makes clean up easy. And right on the headphone wire itself is a volume control dial meaning she can easily adjust the volume depending on the situation. Not only are these headphones functional they’re stylish, we had lunch just yesterday and there she is sitting in the booth playing with the phone, being the totally anti-social 9 year old she is rocking adorable Skate Monkeez headphones in the process. Our server walks by and stops and lets her know how cool she thought her headphones were, we’ll she sat up a little taller and had a grin on her face. We travel a lot and really needed a great pair of headphone and the Animalz headphones for kids and not only functional but stylish and you will have no problem finding an animal to match your kids personality. If you are looking for a great gift idea for the little techie on your holiday gift list this year, be sure to check out. 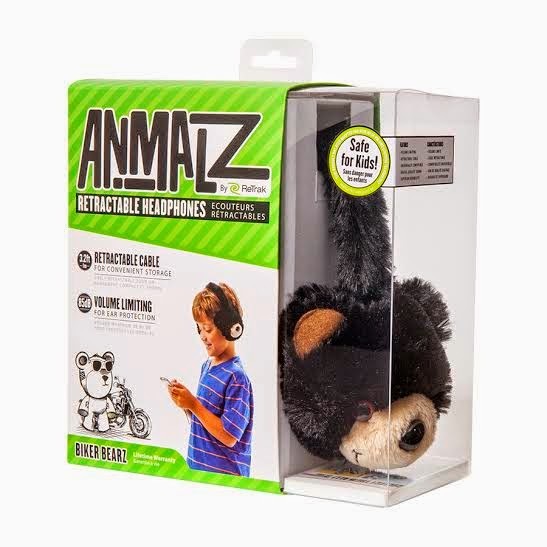 Animalz headphones for kids. The generous folks at Animalz headphones for kids, are giving one of Susan’s Disney Family readers a chance to win a pair of headphones. Would you like to win? Please visit the Animalz headphones site, take a look around then come back here and let me know something you learned from the website. There are also other ways to enter. Please enter below. 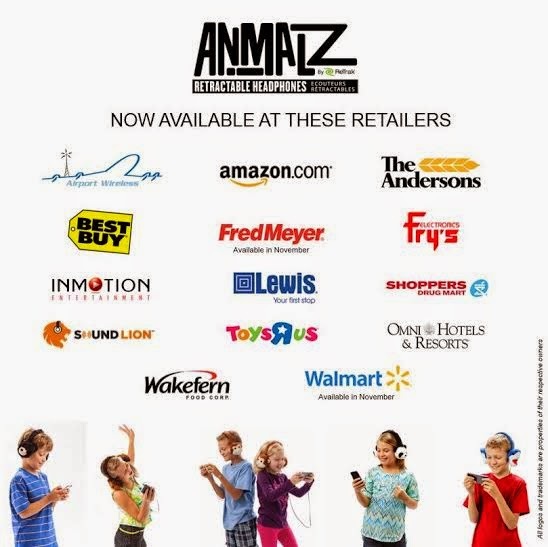 You can purchase your own kids headphones on the Animalz headphones website and at selct stores. Disclosure: The reviews and or opinions on this blog are my own opinions . I received a pair of headphones to review. No monitory compensation was received. I was not required to write a positive review. Your experience may differ. The opinions I have expressed are my own I am disclosing this in accordance with the Federal Trade Commissions 16 CFR Part 255: Guides Concerning the Use of Endorsement and Testimonials in Advertising . Great Christmas idea. I like how they look comfy and it has the volume limiting. My daughter would use these a lot while playing her games online. My youngest is obsessed with monkeys and this would be perfect for him! I like the panda earphones, they are all so cute! I love all of the designs, they look so comfy and fun! My all time favorite is the panda, so cute! Jam Bunnez is my favorite design! My kids would love the shark headphones too! SO adorable! How cute are these?? Adorable! My son would love the shark headphones. They look really comfy and I love the volume control. Oh I really love the SCUBA SHARK! So cute! Carter has a hard time in loud places, and these would be so wonderful for him!!! I also like the Surf Dawgz Headphones from Animalz. I like the Scuba Shard headphones. 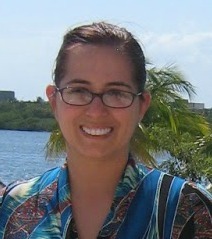 I really like the monkey ones, as always thanks for the chance to win this awesome prize. I like how cute and fun the headphones are! I love the shark headphones, my grandson would go crazy for them.